Did you just ask a question and get "YH" as an answer? You might already have a hunch about what this abbreviation means, but if not, keep reading! "Yeah" is of course a much more informal way to say "yes." This acronym shortens this already short word at just four letters, transforming it into a two-letter abbreviation by taking out the two vowels. It can be used on its own or as part of a longer sentence to offer more context. Friend #1: "Hey you plan on going to class tomorrow?" In this first example, YH is used to answer a yes or no question. Friend #2's answer is a yes and thus uses yh to say "yeah" to Friend #1. They choose to use it alone without any words or phrases. Friend #1: "It was pretty rude of Tom to blow us off like that"
Friend #2: "Yh that's not like him, I'll talk to him about it"
This second example shows how YH can be used to agree with someone else's opinion or comment. Friend #2 elaborates on their agreement with Friend #1 by adding their own comments. Friend #1: "There's no way we're going to get enough people to make this party happen"
Friend #2: "Maybe if we started hyping it up at least a week earlier but yh it's pretty pointless now"
This final example shows one more common way to use YH—and that's to join two related comments together in one sentence (as an alternative to breaking them up into two separate sentences). Friend #2 separates their first comment from their second comment by placing "but yh" in between them. 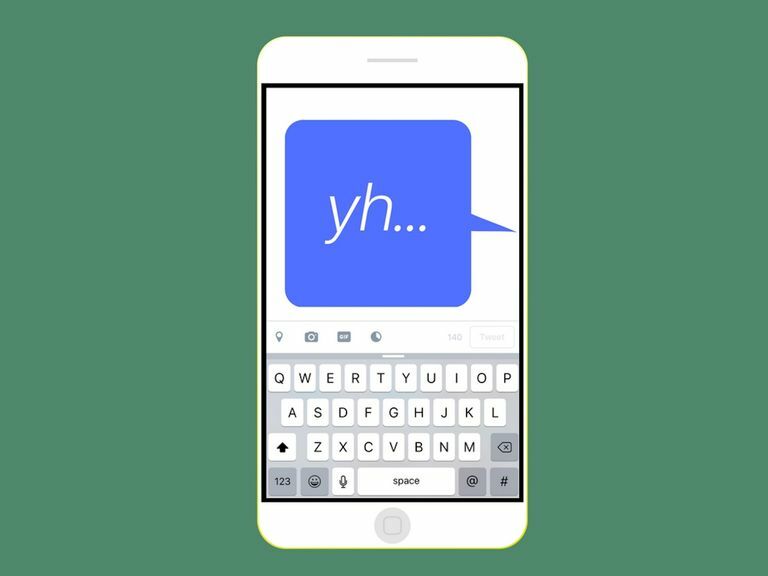 Other ways of doing this include using "so yh," "and yh," as well as "or yh" between two comments to join them. Y: Some people might consider this easier to interpret than YH—especially when used to answer "yes" to a yes or no question. On the flip side, "N" can also be used to answer "no." YE: It's longer than Y, but still shorter than yes and yeah. It also has more of a slang ring to it, don't you think? YA: This is just another (shorter) way to say yeah without some of those extra pesky letters. Still sounds the same! YEA: Last but not least, there's this variation that's just as long as the word yes, but shorter than yeah (yet again, still sounds exactly the same).